1. I plan activity ideas on Sundays. After choosing a theme for the week (either from things that R has shown interest in or a topic that I think would interest her), I search Pinterest, Google, Instagram and my old lesson plans for ideas that I can adapt for R. Many ideas are usually too difficult and need simplifying, but are easily adaptable. 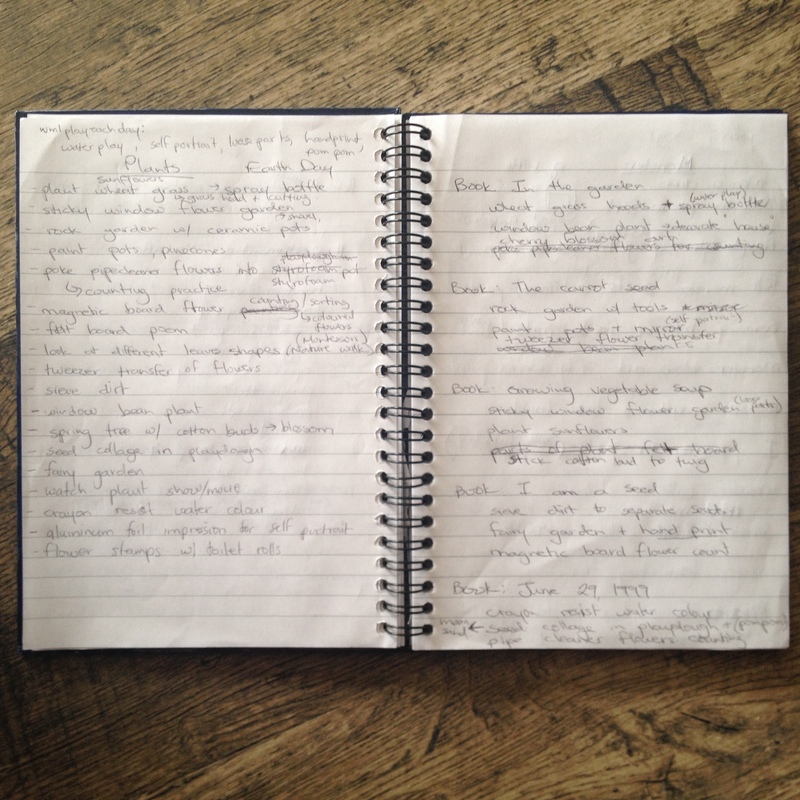 I write out a list of all the ideas I feel would work well for us based on what materials we have at home or are easily made. I then split up the activities so that there are two to three activities per day. I make sure that I divide the activities in such a way so that there is only one activity a day that will take long to plan with the other activities being quick and easy to put together. 2. On the day of the activity, while R is taking her nap, I compile all the components for the activities and set them aside for later. I have found that if I am compiling the activity when she is awake, she is extremely impatient to get to it and is clinging to my leg. 3. We do the activities in the same place everyday so that R is aware of the expectations. When she knows that we are about to do an activity, I ask her to go and sit down and she knows exactly where to sit and wait for me. I usually do messy activities with R sitting in her high chair because it contains the mess well and I can easily move her aside while I tidy everything up. 4. 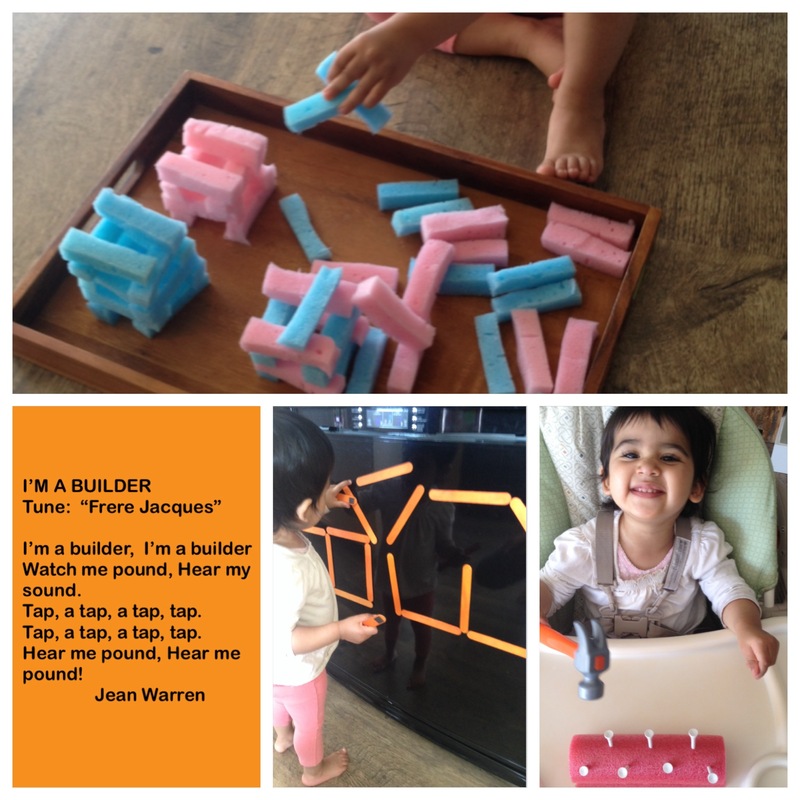 I use the “I do, we do, you do” method to introduce activities that need demonstrating. I first demonstrate how to do the activity for her. We then do the activity together. For example, the first time I introduced painting to R, I held her hand while she held the paint brush and we practiced making strokes together. Finally, I allow R to do the activity independently while I supervise. 5. 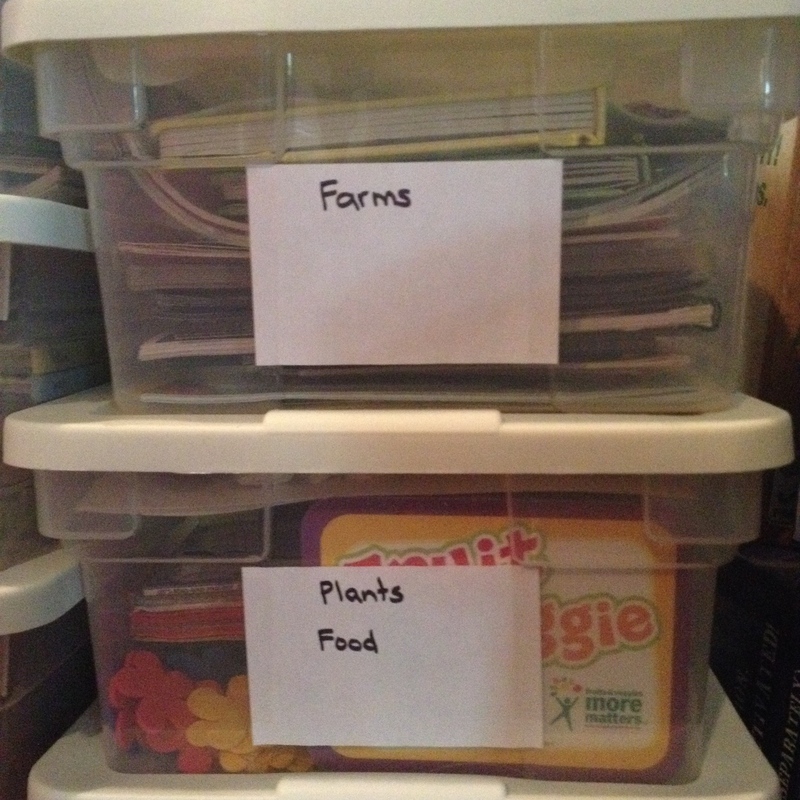 For storing activities that we will do again together, I have plastic storage bins labeled with the theme name. Inside I place read aloud books, activity materials and sample products that we made together. Some bins have multiple themes in them. Of course, not everything is saved. Some things are disposed of. I usually take most sensory bins apart and save the fillers in ziplock bags to be used again for multiple sensory bins. 6. Activities that don’t require a lot of supervision are put out for independent play time during the week. Also, on weekends, we repeat some of the activities that need more supervision. Hey Veens! Glad you found me. 😀 Spur of the moment ideas are wonderful too! Seems like your son has a great time! This is genius, sitting down to plan your week is really a smart idea. It’s also less stressful doing it ahead of time. Love this reminder!